When Leonardo DiCaprio accepted his Golden Globe Award for Best Actor on January 10, he dedicated his award to the often ignored indigenous communities around the world. More than a week later, he has once again brought attention to indigenous communities. 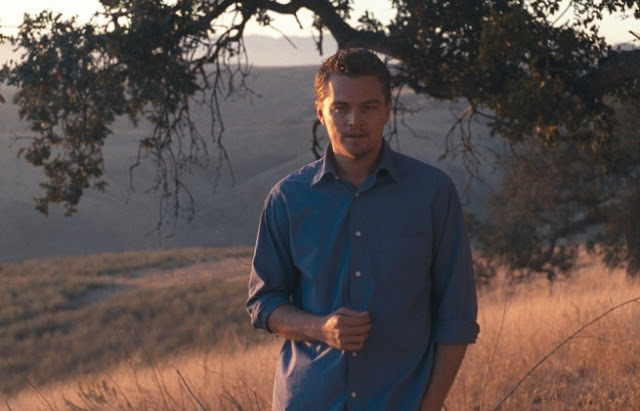 This week, it was revealed that DiCaprio donated $15 million for environmental projects, $3.4 million of which will go to the indigenous groups in the Ecuadorian Amazon who have been affected by petroleum extraction, according to El Universo. The money will specifically help the Cofanes, Secoyas, Sionas, and Huaoranis. The rest of the money will go to monitoring commercial fishing in Oceania, conservation of coral reefs in the Seychelles, promoting renewable energy in the United States, and protecting the rainforest from palm oil deforestation. 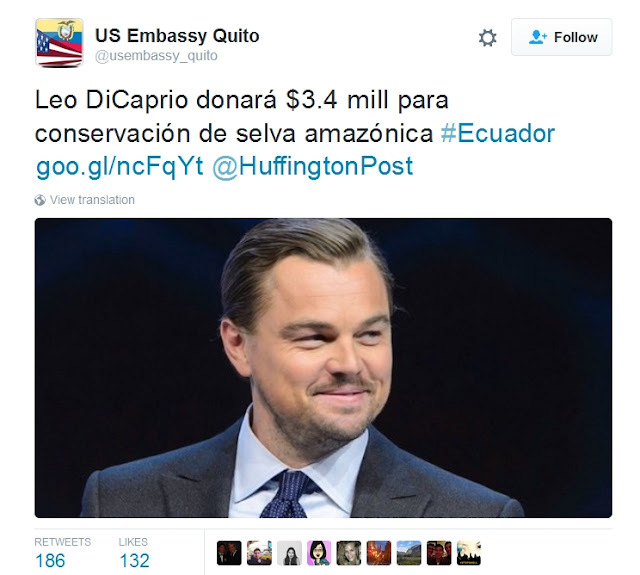 Responses to "Leonardo DiCaprio Donates $3.4M to Indigenous Groups in the Ecuadorian Amazon"
That you for believing improvements are possible. The donation should be able to put a dent in structuring groups that like to work together and learn change. It is amazing to have someone so successful in Hollywood humble enough to appreciate the basic needs of Earth. God Bless Leonardo DiCaprio and his actions lately are fantastic and continue to amaze us. I totally idolize u Leonardo u have such a huge heart and you amaze me everyday or when I hear or see what u do for others. this warms my heart. i know that the indigenous peoples in the US need but I recognize these groups in the Ecuadorian Amazon are in tremendous need also. Bless U Leo and thank you from all over the world. you are doing so much and it is appreciated and will not be forgotten. Since Wolf of Wall street .Through dream.I think it,s wonderful to turn things around for the environment and for indigenous peoples.A change of direction for the better.Thank you. He has of this a soul of great kindness and love of all people and of the planet. . I feel the same way.i love the fact that he put his money where his heart is.. for the indigenous People. Thank you in name of my country Ecuador ! Amazon forests and jungle have to be protected and you have a sensitive heart to understood this! Thank you again!!! Good for you. Keep up the good work! The selfless actions of a warrior; good man!